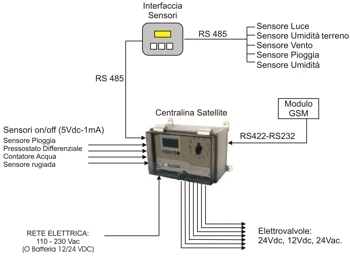 Flexibility, completeness and easy programming mean that the Satellite Control Panel can be used in a huge range of applications - from greenhouse crops (with short and frequent cycles and the need to manage different sensors) to open field crops (with long cycles and the need to control numerous sectors, perhaps even without the availability of electrical current). 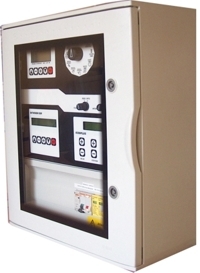 The Control Panel must be connected to the mains by means of a specific power supply cable. The Control Panel is available with different power supply voltages in relation to needs of each client: 230Vac, 110Vac, 240 Vac, 50/60Hz. 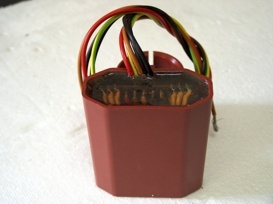 For safety reasons, equip the power supply cable with a omnipole switch in series: 230Vac, 6A, with minimum distance between the contacts of 3 mm. Make sure that the electrical connections are safe and properly installed; operate the electrical plant correctly involving suitably trained personnel. 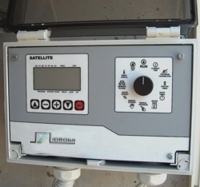 The SATELLITE Control Panel is a new concept device: it integrates numerous functions necessary for solving all the requirements that emerge in the development of an irrigation system. 16 stations or 8 stations plus 8 for backwash (see Menu Config pg 44), expandible up to 32 stations by adding small internal modules and up to 96 stations by adding the SLAVE device. Filter backwash management with up to 8 stations or 7 stations plus a pressure sustaining valve, by external sensore or timed starting. 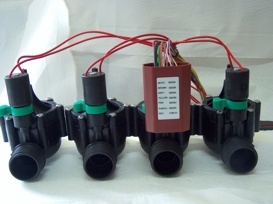 Possibility of solenoid management in AC, DC 12V, DC 24V and latching, up to max. 8 simultaneously activated units. Possibility of managing 1 master valve plus one independent pump command, whose operation is enabled on a program by program basis. Up to 10 starts for every program. Repeat irrigation cycles up to 99 times or up to a defined timetable which can be set cycle by cycle. Setting the calendar of irrigation days on a two-week basis, in skip days mode or activation by one or more sensors (programmable), program by program. Possibility of electro-mechanical operation definible program by program: in the event of power supply cut-out, the program is not skipped but performed as soon as the power supply is restored. Possibility of starting, finising or suspending the irrigation program through external controls (rain sensor or others), settable program by program. Water budget from 5% to 250%, settable program by program. Possibility of manual activation of program execution as required by the user. Possibility of manual activation of start-up in one or more areas as required by the user. Possibility of indicating a wind speed threshold above which the strong wind signal is activated (unique threshold for the entire System). Possibility of indicating a light threshold above which the high light signal is activated (unique threshold for the entire System). Possibility of indicating a temperature threshold below which the low temperature signal is activated (threshold settable program by program). Possibility of indicating a temperature threshold above which the high temperature signal is activated (threshold settable program by program). Possibility of indicating a relative humidity threshold below which the low humidity signal is activated (threshold settable program by program). Possibility of indicating a relative humidity threshold above which the high humidity signal is activated (threshold settable program by program). Short circuit, overload and open circuit sensor. 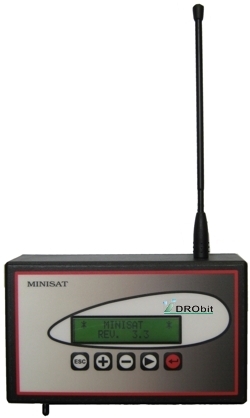 * The anemometer, thermometer, hygrometer and light-meter are connected to SATELLITE via the Sat-Gate device purchased separately.